When planning my six-week elective I spent a long time deciding whether to organise an independent placement or to go with a company. 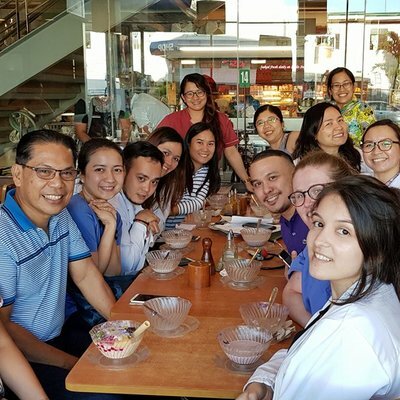 I knew I wanted to gain cardiothoracic surgical experience in a country that was very different to home, and I also wanted a country abundant with travelling opportunities and vibrant culture to indulge in at the weekends. In the end I chose to go to Sri Lanka with Work the World, and I wasn’t disappointed. My friend and I were greeted at the airport by a member of the WTW team. Stepping outside the terminal, the first thing I noticed was the heat. It was like walking into a sauna, and it came as a welcome change! We had landed mid-afternoon so didn’t have time to travel to Kandy before dark; we spent the first day and night at a nearby hotel (organised by WTW) and acclimatised to the weather by the pool. Our minibus left for Colombo early the next morning, stopping only once along the way for breakfast (there was a selection of Sri Lankan and Western options – I decided to do things the Sri Lankan way so had a curry to wake me up!). The first couple of days in Kandy were allocated for orientating ourselves to the house and city. This was a very good idea as it didn’t feel like we were being thrown in the deep end and allowed me time to settle in. We were shown shops, restaurants, internet cafes and I bought a Sri Lankan SIM card – credit was extraordinarily cheap for local calls to friends and taxis, and texting home only cost a few pence. Cardiothoracic surgery is a career I have considered for some time. Accordingly, I spent most of my time (four weeks) in the purpose-built and dedicated cardiothoracic department. This unit has a large pre-operative ward, two theatres, and substantial post-operative facilities including an ICU and HDU. Despite being a teaching hospital this department is not visited by Sri Lankan medical students and so I was the only undergraduate there and, as such, somewhat of a novelty. 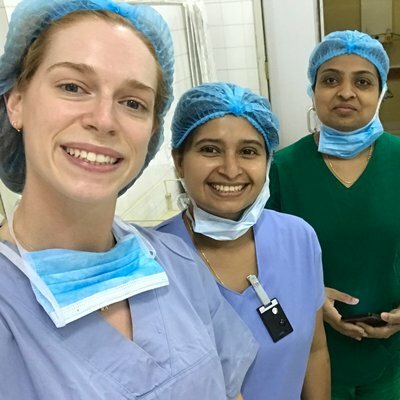 The three consultants welcomed me into the team and shared with me huge amounts of information including clinical knowledge, career advice and tips for travelling their country. Each day began with a ward round to assess the patients from the previous few days. I would then go and listen to a variety of murmurs, owing to the fact that rheumatic valvular disease continues to be endemic and patients often present with advanced disease. Unlike the UK, patients spend a number of days or weeks as an inpatient before their surgery so that comorbidities, such as anaemia, can be corrected. At first this seemed inefficient, but I was told that a combination of poor education and limited access to primary care meant patients would struggle to manage their conditions in the community. Later I would go to theatre, where I was exposed to a number of procedures on both the heart and thorax, in adults and children. Operations I saw included CABGs, a triple valve replacement, ASD repairs, a lobectomy and repair of an oesophageal rupture. Standards were very high and I was impressed by the skill of the surgeons. The overall set-up meant I was able to follow patients through their entire journey from admission to discharge, and this exposure proved hugely educational. My last two weeks I spent on general surgery, which was a stark contrast and allowed me to improve my surgical skills. 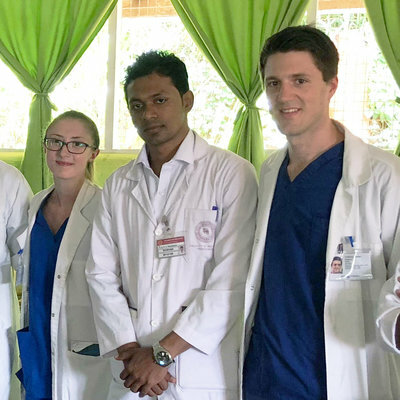 There were more clinicians and many Sri Lankan medical students, but a disproportionately larger number of patients, and so conditions were crowded with up to five patients in one theatre at any given moment. This provided ample opportunity to get involved. General anaesthesia was a rarity with the majority of procedures – such a wound closures, minor amputations and jejunostomy formation – occurring under local anaesthetic. The surgeons were happy for medical students to assist in operations and do simple procedures such as suturing. I took advantage of this opportunity and scrubbed into a many of operations. Some of the most educational experiences in general surgery were the outpatient clinics. The consultant was very knowledgeable and keen to teach both Sri Lankan and foreign medical students so we were able to learn a lot from the multitude of different pathologies. Weekends were spent travelling the island to visit ancient temples, lie on the beach, relax in the mountains, or to watch the cricket world cup. The small nature of the island means that nowhere is too far, although travel can be a bit of a game sometimes so it’s good to plan ahead and prepare. I made a lot of very close friends in Sri Lanka and at the end of a long week I couldn’t wait to get away and spend time with them. Highlights included Unawatuna’s golden beaches, the famous Lion Rock of Sigiriya, walking through the tea plantations and waterfalls of Nuwara Eliya, and watching England play cricket in Colombo (even if we did lose!). Travel by train or bus was very cheap; it barely cost £2.50 to travel south to Galle, and the view out the train window was beautiful. On some weekends a large group of us chipped in for a mini-bus. It generally cost about a tenner for the whole weekend, which was worth it as we could be ferried to various locations when it suited us. All things considered, it is no exaggeration to say that my elective placement was the highlight of my undergraduate career and of my life. The placement was fantastic and surpassed my expectations, and the time spent with the friends I met will last in my memory forever.